This laboratory gives a clear indication of IK4-IDEKO's commitment to ultra-precision, not only aimed at miniaturisation and the micro world but it also significantly covers the macro world, where there is already a considerable demand. 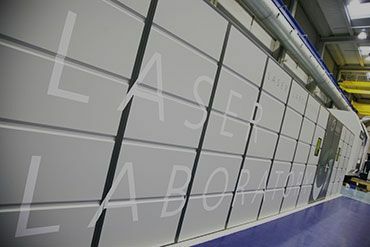 These facilities are larger than 400 m2 with temperature and humidity control and an anti-vibration system, in which we carry out activities from several performance fields related to machine testing and ultra-precision manufacturing processes. 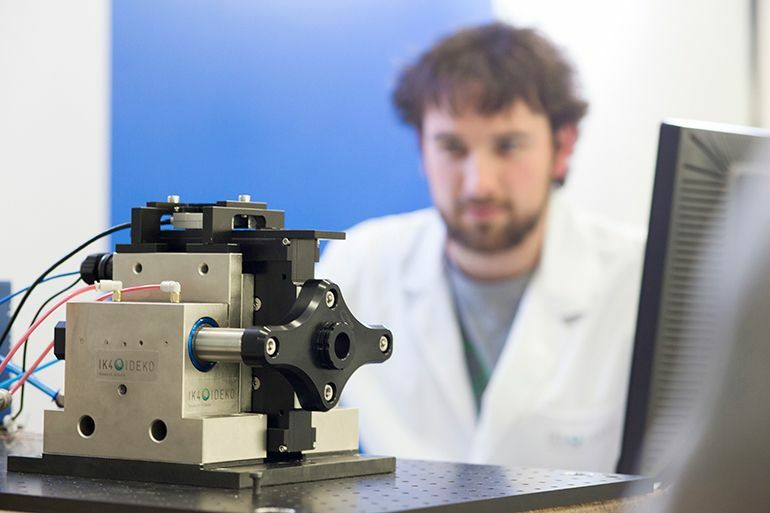 Within this area, we are concerned with, on the one hand, the testing of ultra-precision machines and/or devices that we develop within our research activity; currently this involves micro-milling and laser micro-milling machines entirely designed at IK4-IDEKO. And, on the other hand, we cover testing of machines and macro-processes with ultra-precision requirements, which is becoming more common, in particular in grinding processes. Test bench for high dynamic drives with advanced controllers. Test bench for guides and hydrostatic and active lubrication bearings. Test bench for the characterisation of components. Measurement of submicron errors with capacitive sensors.